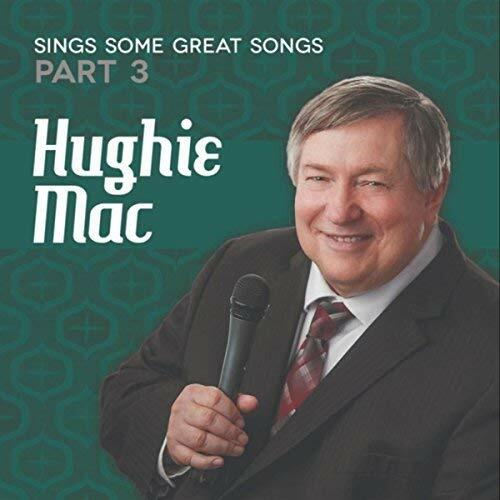 Singer Hughie Mac has been quietly building a mammoth reputation as one of the last true blue lounge singers in America over the last few years, and his new record, titled Hughie Mac Sings Some Great Songs, Pt. 3, is by far his most exquisite and accessible offering to date. Styled for fans both young and old, Great Songs, Pt. 3 is one of the most affectionately simple and unfiltered glimpses into a subgenre of pop that has been grossly overlooked in recent years. Vocal standards have never sounded so concise and cutting as they do in the clouded musical climate of 2018, and Hughie Mac is just the man to bring them back to the surface. It’s not easy to make some of the songs included on Hughie Mac Sings Some Great Songs, Pt. 3 sound fresh and non-recycled, but Mac’s individually tempered vocal style splashes a colorful texture onto these tracks that didn’t exist beforehand. He nimbly dispatches tunes like “Hello Mary Lou” and “I Have Dreamed” as if they were his own written word, and there’s never any need to question his ability to tackle virtually any composition and come out victoriously. His abilities are incalculable, but his self-control as an artist is really something to marvel at. There’s a magnetism in Hughie Mac’s voice that is so easy to get completely lost in. I get the idea that he could sing almost anything, be it a Dean Martin classic or a few pages out of my mom’s recipe book, and make it into a gold standard without having to give much effort. Regardless of how hard he has to try, it’s clear in Great Songs, Pt. 3 that Mac never gives less than 110% of himself when he enters the studio, and we never get the impression that he’s trying to fill up space or woefully connect narratives in this LP. I think that Hughie Mac would also sound awesome in collaboration with a live jazz band or even something a little more classical by design; he has so much versatility and knowledge of musicality that his options are practically limitless when considering what he might record next. He’s got the dexterity to do more complicated songs, but he also has the relaxed charisma that it takes to really make a slow song or a stripped down ballad feel larger than life. Finding songs for Mac to play isn’t the problem; the real challenge lies in finding ones that are up to the pedigree of his facilities. The future looks overwhelmingly bright and positive for Hughie Mac and his career in the wake of his new album’s surprising (to some) success, and my gut tells me that he’s only just begun to show us what he can do when he’s got all the necessary recording tools at his disposal. Mac isn’t looking for his musical identity, but he also isn’t afraid to try new things and see what sort of opulence he can render as a result. If his next record contains the same level of showmanship that this one does, his status as a rising icon in this era of music will be solidified and impossible for even the most discriminating of critics to deny.